How to start a microsoft flow in SPO Classic Experience? sorry I'm new to SharePoint, not really familar with environment yet. 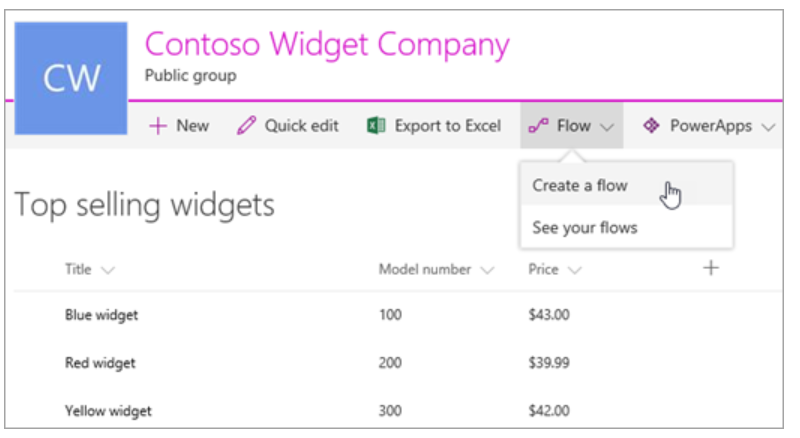 I read this article from microsoft support on how to create a flow in SPO. However, the problem is that my interface is totally differnt from what they had and I can't find the "flow" function to start with. My workflow is totally different from the article. The workflow I had is the build-in workflow provided by SPO. Hope somebody could help me how to navigate or tell me what did I missed. This is what they showed. -> Click on the gear on top right. -> Go to the settings of your list/library. -> From the settings option select Advanced settings. -> Scroll down, till you see "List experience", now select "New Experience" and click OK.
Now you will be able to see the flow option within your list/library. Not the answer you're looking for? Browse other questions tagged sharepoint-online navigation microsoft-flow or ask your own question. Microsoft Flow - Get email body content from another list?